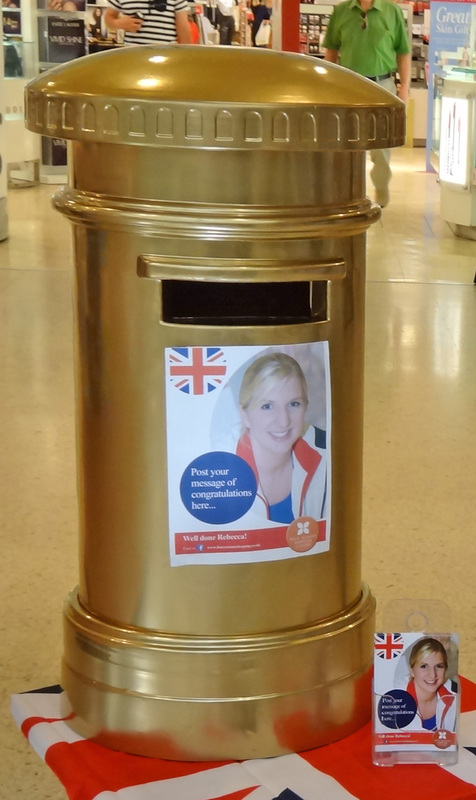 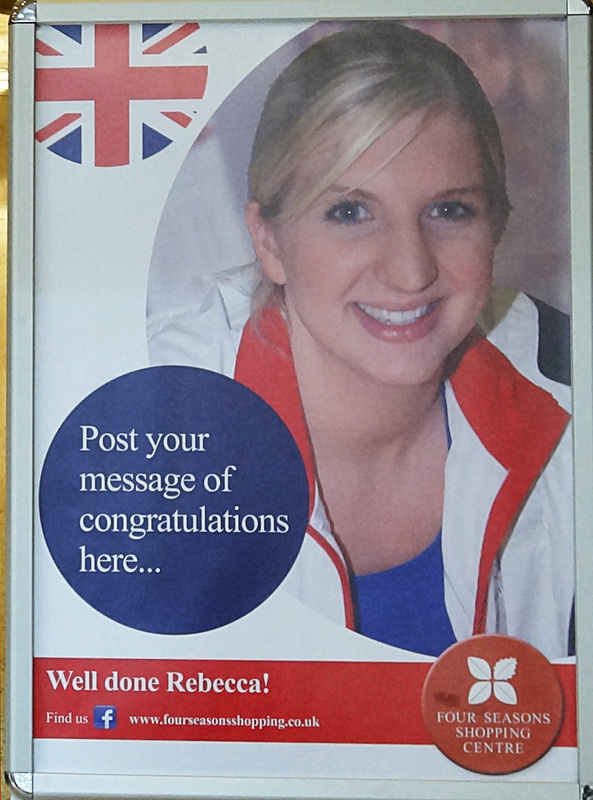 Mansfield Four Seasons Shopping Centre has erected its own personal Gold Post Box, in the centre, as a tribute to Rebecca Adlington. 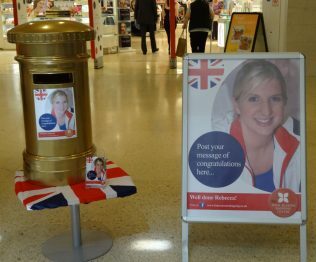 In doing so they have given everyone the opportunity to post a message of congratulations to this young lady, who over the past few years has well and truly put Mansfield on the map with her swimming achievements. 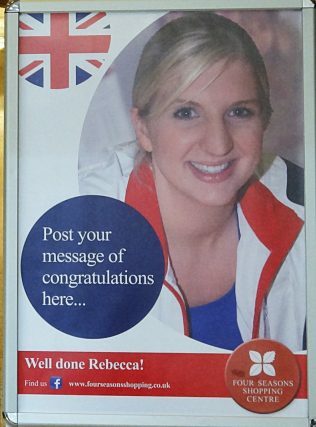 Her latest triumphs of two Bronze Medals in the 2012 London Olympics were brilliant to watch on television – of course some of you may have been lucky enough to be at the Olympic Pool! With thanks for PPG Four Seasons Shopping Centre for allowing us to take the photos and publish this page.